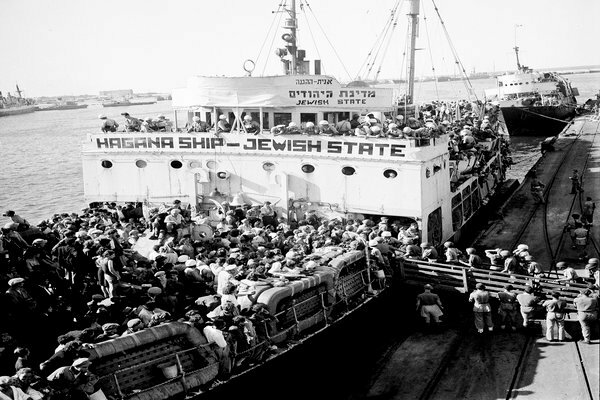 A very respectful new book uncovers shocking secret attacks launched on ships bearing Holocaust survivors en route to Israel. 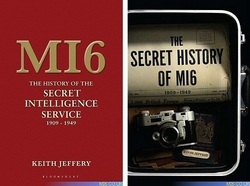 It is entitled "MI6: The History of the Secret Intelligence Service 1909-1949". The distinguished British historian Keith Jeffery reveals the existence of Operation Embarrass, a plan to try to prevent Jews getting into Palestine in 1946-1948 using disinformation and propaganda but also BOMBS placed on ships with the Jewish refugees and Holocaust survivors. 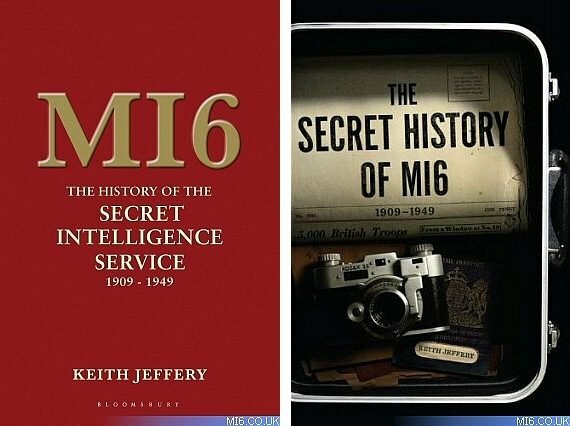 Nor is this some speculative spy story that can be denied by the authorities: Dr. Jeffrey’s book is actually, in their own words: "Published with the permission of The Secret Intelligence Service and the Controller of Her Majesty’s Stationery Office." When on June 1 this year the British government denounced as "completely unacceptable" the way that the Israelis landed troops on the Turkish flotilla to Gaza we did not know that its predecessor had done much worse, actually blowing up at least one ship and damaging at least two more vessels of a genuinely humanitarian flotilla that was trying to bring Jewish survivors of the Nazi death camps to their people’s ancient homeland. Of course the hostility of the British establishment toward Jewish immigration into Palestine since long before the notorious 1939 White Paper on the subject is well-known - even King George VI wrote that year to say that he was "glad to think that steps are being taken to prevent these people leaving their country of origin" . Nonetheless this is the first documented indication of the violent lengths to which post-war Britain was willing to go. For it now emerges that in late 1946 the Labour government of Clement Attlee asked MI6 for "proposals for action to deter ships masters and crews from engaging in illegal Jewish immigration and traffic", adding, "Action of the nature contemplated is, in fact, a form of intimidation and intimidation is only likely to be effective if some members of the group of people to be intimidated actually suffer unpleasant consequences." Among the options contemplated were "the discovery of some sabotage device, which had 'failed' to function after the sailing of a ship", "tampering with a ship’s fresh water supplies or the crew’s food", and "fire on board ship in port." Sir Stewart Menzies, the chief of the SIS, suggested these could be blamed on an invented Arab terrorist group called The Defenders of Arab Palestine. Operation Embarrass was therefore launched after a meeting held on February 14, 1947 between officials from MI6, the armed services, the Colonial Office and the Foreign Office, the last represented by William Hayter, the head of Foreign Office Services Liaison Department, a high-flier who later became ambassador to Moscow. I knew Sir William Hayter in later life, but needless to say he never breathed a word about this operation. In his defense, it must be said that Hayter did order MI6 to ensure that arson "must be arranged, if at all, when the ship is empty." The Operation Embarrass team was told that "the primary consideration was to be that no proof could ever be established between positive action against this traffic and His Majesty’s Government [HMG]." A special communications network, codenamed Ocean, was set up with a budget of £30,000 ($47,000), a great deal of money in 1947. The operation had three aspects: direct action against refugee ships, a "black" propaganda campaign, and a deception scheme to disrupt immigration from Black Sea ports. A team of former Special Operations Executive agents - with the cover story of a yachting trip - was sent to France and Italy with limpet bombs and timers. If captured, "they were under no circumstances to admit their connection with HMG" but instead claim to have been recruited in New York "by an anti-Communist organization formed by a group of international industrialists, mainly in the oil and aircraft industries," i.e. to lay the blame on rich, right-wing, unnamed Americans. They were told that this cover "was their final line of defense and, even in the event of a prison sentence, no help could be expected from HMG." During the summer of 1947 and early 1948, five attacks were undertaken on ships in Italian ports, of which one was rendered "a total loss" and two others were damaged. Two other British-made limpet mines were discovered before they went off, but the Italian authorities did not find their country of origin suspicious, "as the Arabs would of course be using British stores." Operation Embarrass even considered blowing up the Baltimore steamship President Warfield when in harbor in France, which later became famous in Israeli history as the "Exodus" ship that "launched a nation." The country that ought to be embarrassed by Operation Embarrass - indeed shamed - is Great Britain, which used explosives to try to stop truly humanitarian flotillas after the Holocaust, but now condemns embattled Israel for halting entirely politically inspired flotillas to Gaza despite her rights of legitimate self-defense. The depth of the animosity that Establishment Britain, especially the Foreign Office, felt toward the Jews of Palestine clearly went even further than we had ever imagined, and even 70 years later is by no means extinguished. PLEASE LEARN THE SOLUTION AND INFORM ALL THE SUPPORTERS.